As East Tennessee’s premier healthcare provider, Covenant Health has a strong commitment to improving the quality of life in our region through better health. 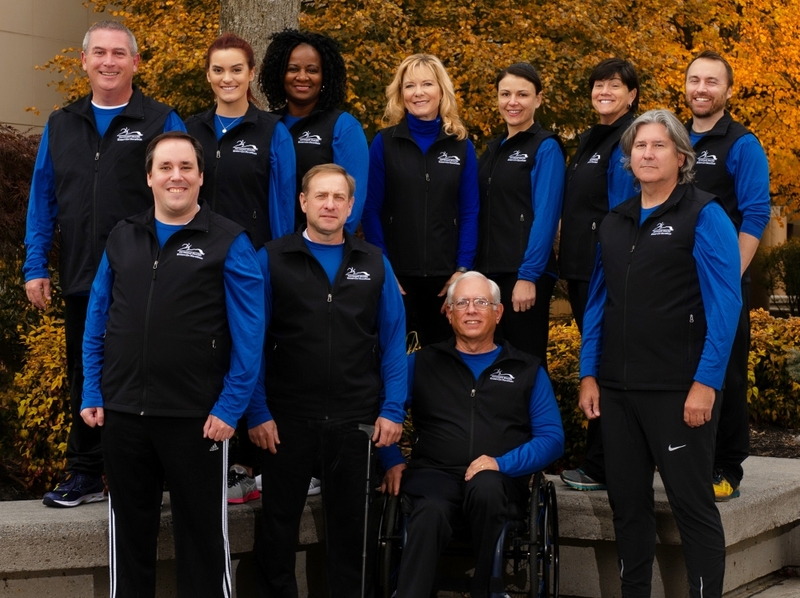 As part of that mission, Covenant Health assembles a team of individuals each year to serve as ambassadors for health and fitness while they train together for events in the Covenant Health Knoxville Marathon. The 2019 marathon team members came from all walks of life, but had something in common. They were military veterans who headed for the finish line in honor of those who have gone before them. It was an honor to come alongside them as they encouraged others to pursue a better quality of life through health and fitness. We thank them for their service. Get training tips and see photos of our 2019 marathon team in action on the Team Training page. For more information, please contact us at (865) 531-5083. Sports editor for the Knoxville News Sentinel, Phil became sold on the program when he went through it as a team member in 2011. He offers valuable advice and support to the team. Todd can be seen on WBIR-TV reporting the weather in every season, which is no easy task in our ever changing East Tennessee hills. He strives to stay fit for his job and for his family, and training for a Covenant Health Knoxville Marathon event his latest effort to that end. Missy Kane is fitness promotion coordinator for Covenant Health, and her passion is helping others take steps toward a healthy lifestyle, whether they’re longtime athletes or have been sedentary for years. Missy is a former collegiate track and field coach, an Olympic athlete, a Pan American Games medalist, and a member of the Tennessee Sports Hall of Fame, the Knoxville Sports Hall of Fame, and the Knoxville Track Club Hall of Fame. This is her 15th time coaching a team for the Covenant Health Knoxville Marathon. Coach Missy Kane and Assistant Coach Phil Kaplan are pleased to have help from Fort Sanders Health and Fitness Center trainer Chris O’Hearn. Chris is a highly respected personal trainer and life coach who helps our team members strengthen mind, body and spirit for a successful finish.